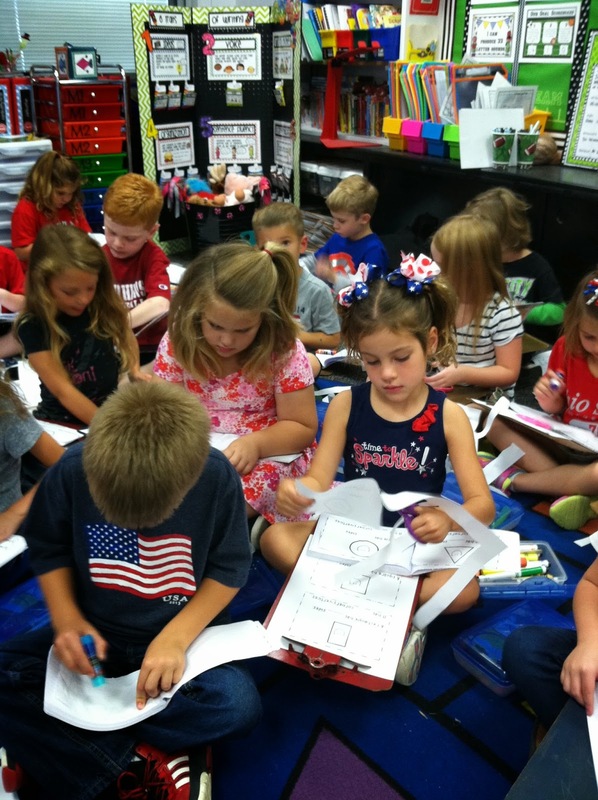 We love our Daily Math Journals that we complete each day to review our common core standards. This year I wanted to create an interactive Math Tools booklet that the students can use as a resource. 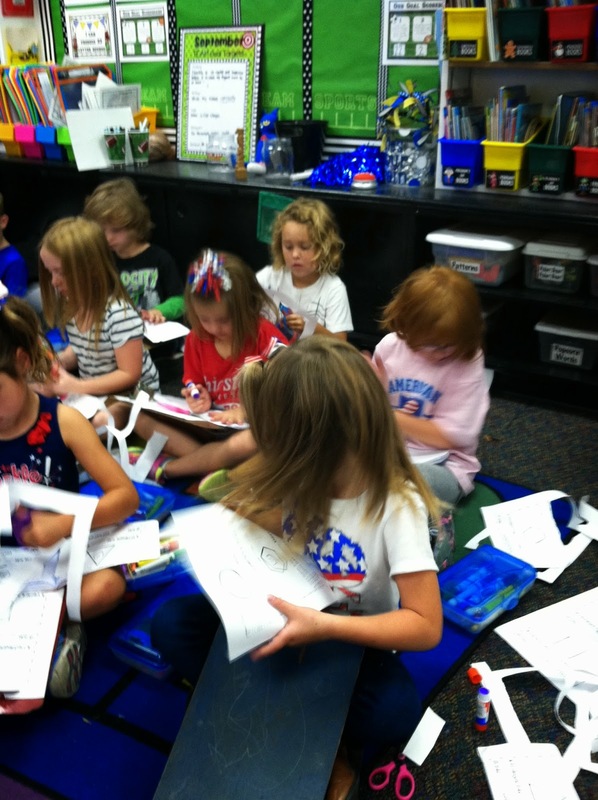 Today we started our FLAT SHAPES pages because in 1 day this fun unit will be completed. 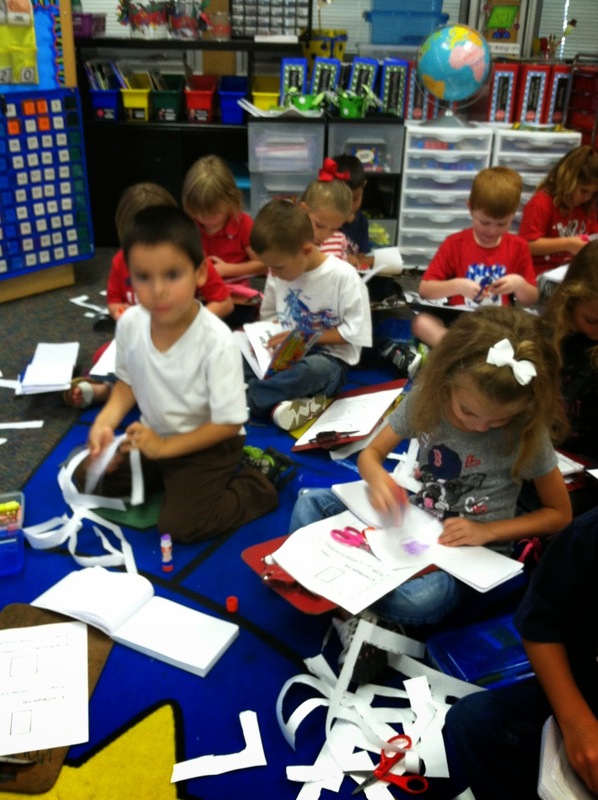 Here is what our classroom looked like today when the students were putting the pages together. They did all of the cutting and gluing so it made my job a lot easier!! I will share our completed pages tomorrow. They loved the 1/2 composition notebook that we are using.